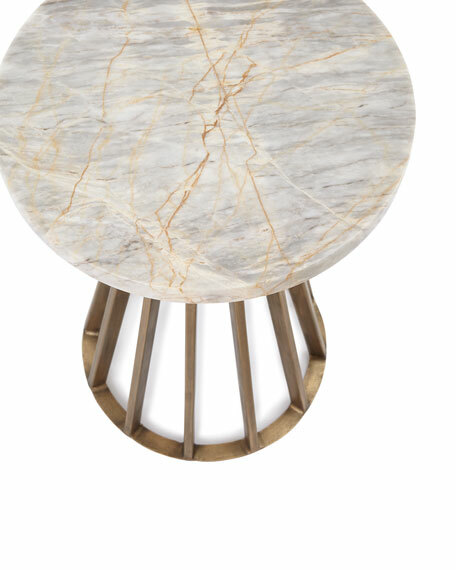 Authentic century marble top accented with key gold wrought iron base. 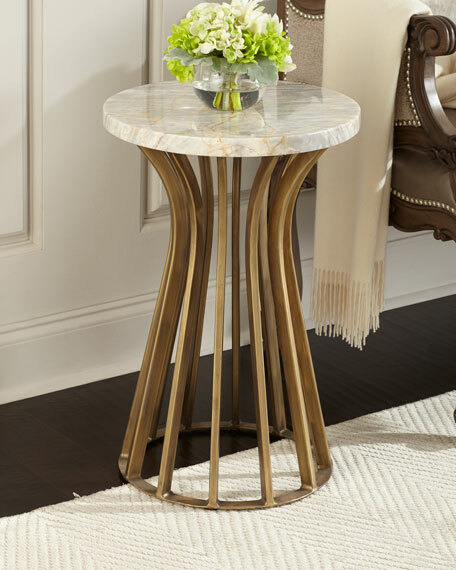 Wrought iron base is completed in an antique gold finish. 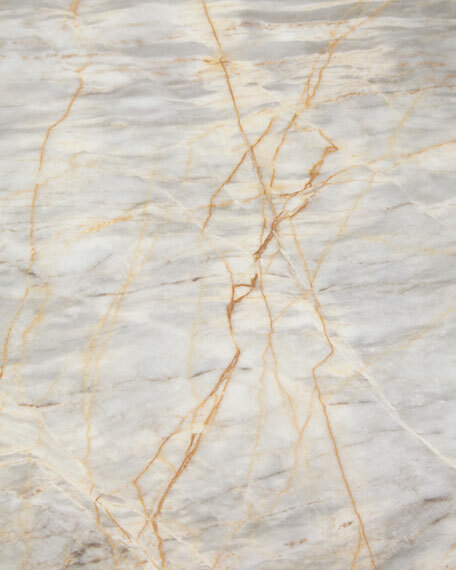 Marble is natural and will vary in color and grain. 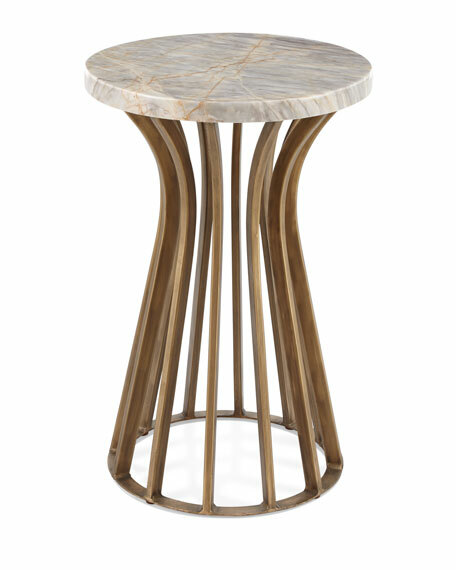 Side table with wrought iron base and century marble top. Boxed weight, approximately 36 lbs.